Gray Vinyl Large Pocket Loose-leaf Form Holder 629-RVN-GY is a vinyl holder that measures 10" W x 13 1/2" L when closed and can hold forms up to 8 1/2" W x 11" L size. 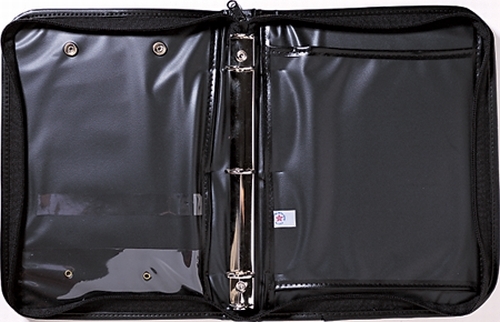 Its sewn-in flap allows items such as log books to be inserted in either direction. 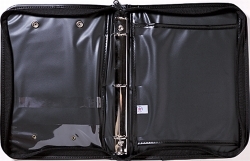 It has large pockets on each side for storage.